Take a non stick pan, put it on the flame put sago in it and roast it lightly, just heat it don’t change its colour. Soak sago in a utensil till as much water as they can submerge easily in it but careful that water does not float on it. Soak it for 5-8 hours. 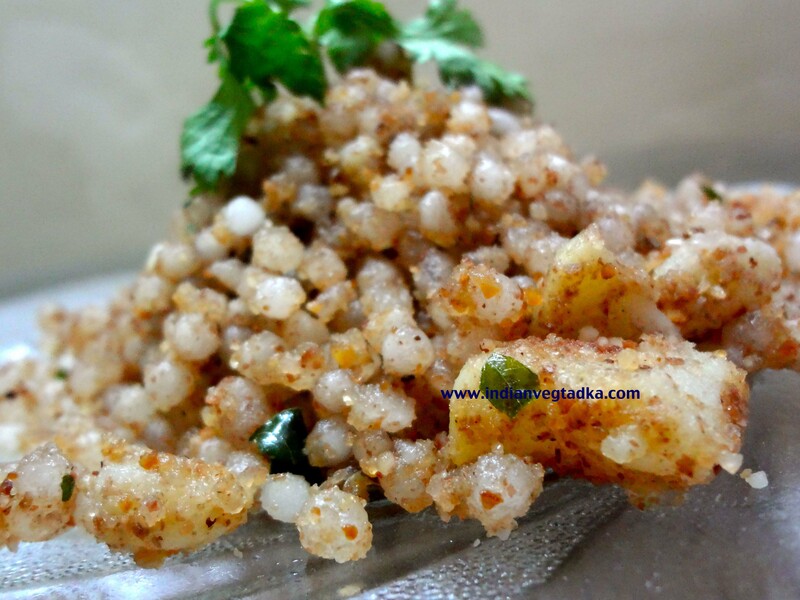 Spread with your hand , now it ready for the upma. Cut boiled potatoes in the small pieces, grained peanuts and make them coarse cut green chillies and ginger in small pieces. Put oil in the kadai and when it heats then add curry leaves and ginger, green chillies sago and salt, cook it in medium flame for 5-6 min. When it cooks then adds coarse peanuts and boiled potatoes in it. Squeeze one lemon in it and garnished with coriander leaves.